Ted Peters brings Trinitarian theology conversation to a new level by examining the works of Karl Barth, Karl Rahner, Eberhard Jungel, Jurgen Moltmann, Robert Jenson, Wolfhart Pannenberg, and Catherine Mowry LaCugna. He highlights talk about the becoming of God by process theologians, sexism in Trinitarian language by feminists, and divine and human community by liberation theologians. 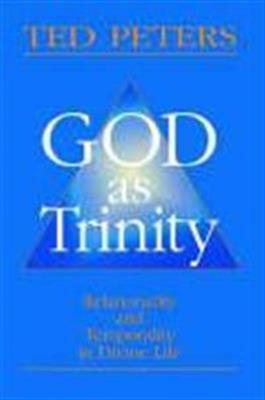 Peters addresses the relationship of God's eternity to the world's temporality, and claims that thinking of God as Trinity affirms that the word "God" applies to both eternity and temporality.